I was asked a few months back what we should be calling the Japanese political order in the aftermath of the July House of Councillors election, whether it is indeed the return of the "1.5 Party System" of old. The phrase "1.5 Party System" is a demeaning* and easily apprehended international version of what was domestically called "the 1955 System," after the year the two factions of the Socialists on the left and the Liberal Party and the Japan Democratic Party on the right merged to form two large left/right divide parties, with the right dominant due to the left's division into Socialist and Communist camps. I responded that a better term for the current situation would be a 1.0 Party System. Under the 1955 system, the Socialists could tie up Diet business in a serious way and had to be paid off to an extent the term "1.5 Party System" leaves unclear. "1.5 Party System" indeed undersells the political threat that the Socialists posed (which the LDP neutralized in a whole host of shoddy ways, including absurd levels of disproportion in between rural and urban voting districts). However, the "0.5" in the "1.5" does give the Socialists at least some heft -- which they had. After last year's House of Representatives election and the July election the rump opposition parties in the Diet are little more than confused noise machines without any power to foment change. Hence my suggestion of a "1.0 System" moniker. The image of an utterly powerless opposition (the 0 in the 1.0 expression) is obviously an exaggeration. The general concept is not, however, entirely without merit. Leadership of Japan's small but dogged anti-nuclear power and anti-secrecy bill forces, the current most prominent movements challenging the government's attempts to sweep problems under the rug and move on, comes almost entirely from outside the Diet. I have been and will continue using the 1.0 System expression, having possibly coined it. However, one sees in the news media the indigenous expression ikkyo tajaku (一強多弱 - "one strong, many weak"), an expansion of the standard expression ikkyo meaning "dominant." I have seen the four character compound used on NHK and I think TBS network broadcasts. Here is a letter to editor of The Asahi Shimbun that uses the phrase, though the first character is replaced by the Arabic numeral 1. When written in kanji the expression ikkyo tajaku is both visually arresting and easily understood. However, what is/would be the elegant and succint English translation? * Speaking of demeaning, why did the author insert a denigration of Japanese tech praxis in this article on South Korean reverse engineering of U.S. military technology? While the ideological cant of the gaiatsu is not unappreciated, a quibble about the title: to my knowledge pretty much all secrecy legislation is illiberal. A whimsical graphic, perhaps not very impressive...but below is a reproduction of the entire Saturday, 26 October 2013 Tokyo Shimbun (please click on the image to see it in full). I have blocked out in red articles or opinion pieces on the Official Secrets Act, submitted to the Diet the day before (I have blocked out advertising in yellow, for the sake of...oh...just for the heck of it). 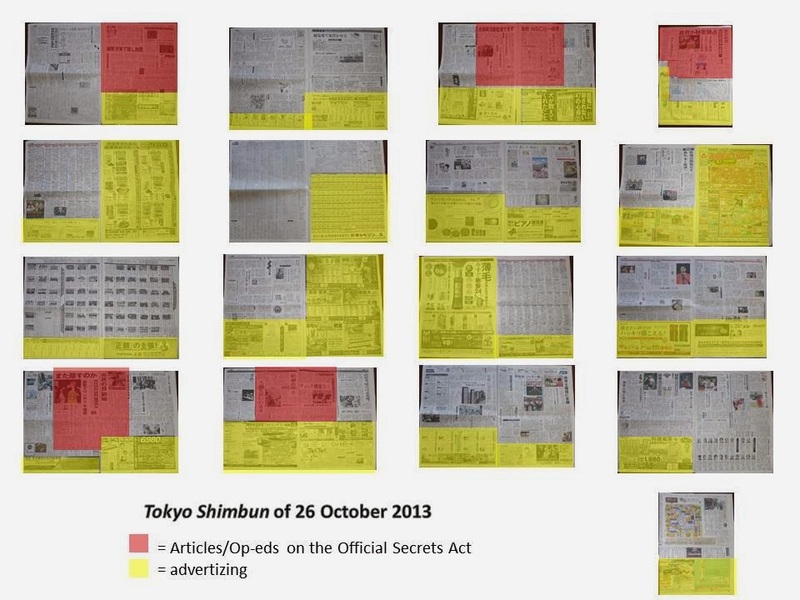 To what extent does the editorial board of Tokyo Shimbun dislike the official secrets bill? 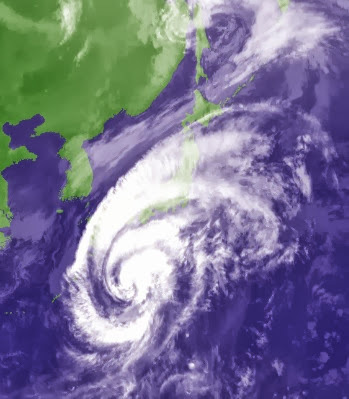 -- All of the news space on the front page not devoted to the weather is devoted to the bill (the weather stuff was sort of important: two typhoons were sweeping past the country that day). The editors did not even feel a need to pile on: the editorials are on the proposed Industrial Competitiveness Act and the falsification of population data in Aiichi Prefecture. 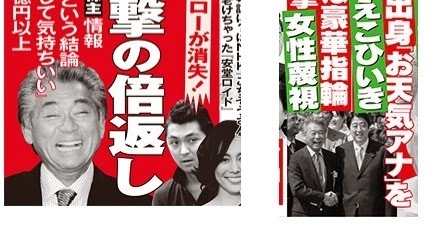 Former Minister of Defense (briefly), former Chairman of the Liberal Democratic Party General Council and head of the LDP’s Communication Division Koike Yuriko has a reputation as a savvy media manipulator. A former television newscaster, she holds a degree in sociology from Cairo University. Thanks to her Arabic and English skills, she is a fixture in international circles. Publishing in English via Project Syndicate, she has disseminated anti-Democratic Party of Japan and pro-Abe Shinzo propaganda worldwide underneath the radar of the local representatives of the foreign press. Despite a warm and inviting appearance, Koike holds hardline views on security and is seen as very much a kindred spirit of the prime minister's. Part of her hard defense posture may have developed out of her interaction with and study of the U.S. security community. Part, however, arises from her political instability. She flitted during the first years of her political career from one political party to another, finally landing in the LDP. Her colleagues have labeled her a wataridori-- i.e., "a migratory bird" -- and were not complimenting her in doing so. She gained prominence under the sponsorship of maverick Prime Minister Koizumi Jun'ichiro, becoming the most visible and valuable of his "assassins." Under his encouragement, she moved from her fairly safe Hyogo district to challenge and eventually defeat postal rebel Kobayashi Koki in his Tokyo fiefdom. Without roots in her district, her patron departed from active politics, her choosing to lean ever harder into militancy has made eminent sense. Her hardline views on defense, together with her earlier mobility prompted me to label her "the Iron Butterfly." 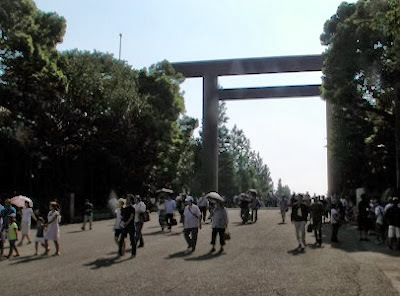 "Japan is a country stupefied by peace which has pretty much lost any appreciation of top secrets...Every day the newspapers are without fail printing at what o’clock, how many minutes, who it was that went in to see the prime minister and when they left. Doesn’t this transcend the [Public's] Right To Know?" The Prime Minister's Schedule (Shusho dosei, also called Shusho no ichi nichi) is an institution of Japanese life. Printed unobtrusively in every day's newspaper (page 6 on the bottom of my own daily paper this morning) it details, with extraordinary thoroughness, the prime minister's schedule of the previous day. With most of the machinations of Japanese government enwreathed in bureaucratic fog and shielded by the press clubs, the Prime Minister's Schedule has been one of the few means the public has had of getting even a glimpse of whatever the hell is going on. From a security standpoint, Koike's objection to this time-honored practice would make sense if the Prime Minister's Schedule revealed the prime minister's intended movements. However, the Prime Minister's Schedule (I am not going to use an acronym, for obvious reasons) only details whom the PM met the day before. Since Japan has a defense-only military posture, foregoing warfare as a means of solving international political disputes, and the government generally does not engage in nefarious activities, there is little reason for the PM to hide the identities of the person he is meeting. And the Prime Minister's Schedule already hides the identities of some of the persons the PM is meeting. Very often, only one or two names are listed, followed by a ra) ("and folks like that..."). It is almost certain that the PM's handlers only need to go over to whichever member of the press club is keeping the schedule that day and say, "Look, of those whom you just saw going in, can you keep quiet about Mr. X and Ms. Y? Thanks." When the head of the LDP's press relations division takes aim at a small but important traditional news media window into the PM's actions, using the loaded terms kimitsu ("top secrets") and heiwa boke ("stupefied by peace") she sets off a red flashing light for a news media already deeply sceptical of if not adamantly opposed (Link) to the Official Secrets bill. If one wanted to create an atmosphere reinforcing the warnings of the critics of the bill, who have been claiming that the reach of the bill is unlimited, then attacking one of the new media's cherished prerogatives is a good way to start. Chief Cabinet Secretary Suga Yoshihide, in with his usual diffidence, has said that the government has no plans to follow up on Koike's suggestion. "What the various news organizations are making public knowledge regarding the Prime Minister’s movements, these are not within expectations of what would be items of special secrecy under the Special Official Secrets Law." Suga was trying to tamp down concerns. However, his use of sotei ("expectations"), a term strongly associated in the public mind with the Fukushima Daiichi nuclear disaster (and the cynical question "you say what happened was outside of expectations but it really wasn't, was it? And the worst did happen, didn't it?”) indicates a deteriorating awareness of the press and the public's growing opposition to the Official Secrets bill. (Link - J and Link - J). The news media has been extremely circumspect or even supportive during these first 10 charmed months of the Abe administration. The quiet, acquiescent press environment has indeed been one of the most striking differences between Abe's first term as prime minister and the current term. Blunderbuss threats to press freedom -- the submission of the Official Secrets Bill and extraordinarily ideological moves against the management of national broadcaster NHK (Abe wants to appoint who to the management committee? The author who every so often interviews Abe for the revisionist magazine WiLL and the PM's childhood home tutor? Oh, you have to be joking -- Link - J) are testing the ceasefire. It may be that the Abe crowd is feeling its oats, believing that coalition majorities in both Houses of the Diet making it impervious to whatever an independent press thinks anymore. Television host and personality Mino Monta, who owns the Guinness Book of World Records title of the hardest working man in television, has agreed to pull his name off his flagship news programs for the TBS network, Mino Monta's Asa Zuba! and Mino Monta's Saturday Zuba! (Link - J). In so doing, Mino and the network are acknowledging that the Mino Monta brand is a net negative for what have been the most visible and lucrative anti-Liberal Democratic Party and anti-bureaucrat news franchises around. Under normal circumstances, such self-abnegation would go a long way toward tamping down the reactions of Mino's peers in the news and entertainment worlds. Mino's taking immediate responsibility for an act in which he is only tangentially involved might even earn him a bit of sympathy. However, Mino's anti-establishment populism, as well as a purported history, ostensibly swept under the rug, of being a little too familiar and/or brutish with the many attractive young women he has hired for his programs, made him a huge, easy target for the screaming scandal press, which plays an unofficial role of enforcer for the country's elites. Mino has been a rare strong voice, if an extremely imperfect one, against the status quo. His son's transgression has initiated payback time. The vitriol hurled at Mino is not likely to destroy him. Television has made him rich, so no matter how many media company and sponsor executives get cold feet in their dealings with him, he is no danger of falling into penury. Much of the basis of much of the enmity is furthermore not ideology or partisanship but just plain old professional jealousy, felt by lesser would-be movers-and-shakers who have been unable to establish their own brand of populism to compete with Mino's mix of effrontery, affection for the little guy and intolerance for official stupidity. Gunning for Mino Monta also represents a welcome change of pace for the dregs of the press, supplanting the usual hounding of young women celebrities for not adhering to good girl stereotypes. Mino will be back, as in Japanese media second and even third chances are commonplace. His proteges and staff will keep the new programs alive in the interim. Viewers missing Mino's little theatrical eruptions of anger or his ironic feigned perplexity will likely trigger a flipping of the arc of scandal, with the same organizations now drumming him out of town breathlessly promoting his comeback. Mino's absence from the airwaves, for as long as it lasts, will be a plus for the Abe administration. Selling questionable policies will be easier without Mino's daily prodding of his knowledgeable guests (former Minister of General Affairs and Communications Katayama Yoshihiro is a regular) into calling b*******t on government rhetoric and rationalizations. Unlike during their first stint in power, Abe Shinzo and his friends, old and new, seem to have all the luck. Perhaps I should submit a bid under the aegis "Shisaku Ltd., PDQ, TPP, ROTFLOL" and see how far I get. Failing to do due diligence prior to a sensitive sale once is carelessness...but failing to do it twice? One hopes the executors of this sale are all looking for another profession, one perhaps they have some skill in executing. You may recall last month the splashy public announcement from the Central Japan Railway Company (JR Central, a.k.a. JR Tokai) on the start of construction of a maglev hyperexpress rail line running through central Japan between Tokyo and Nagoya, to be completed in 2027. Then came the kicker: how much a ticket on the wonder train would cost. According to the plan announced on September 18, the projected cost of a one-way fare from Tokyo to Nagoya on the linear hyperexpress would be 11,480 yen, only 700 yen (7%) more than the cost for the same one-way trip on the fastest Nozomi Shinkansen train. Yesterday, in a press conference revealing more details regarding what will be in essence the world's most ridiculously speedy subway, JR Central president Yamada Yoshiomi explained the reason JR Central has projected a maglev ride fare with an unbelievably low markup of only 7% over the cost of a Shinkansen trip taking twice as long. You would think Yamada would have provided some kind of breakdown of the pricing, showing how JR Central pays off the cost of the investment and the costs of operating the line while charging so little over the currently available high speed train trip. Uh, well...he seemingly did not. The reason the newspapers are reporting Yamada gave for the incredibly small additional cost for a maglev ticket? "We can only receive about that much more [over the Shinkansen ticket price] from the customers." You read that right: if Yamada is to be believed, the parameters for the price of a ticket are set by not by the engineers and accountants, but by JR Central's marketing department -- what the marketers feel customers might think the improvement in service is worth. One could laugh, except for anyone following the moves of JR Central's chairman Kasai Yoshiyuki, including his role as the bundler for Abe Shinzo's return to power (Link and Link), his hiring of former high-ranking U.S. officials as his salemen (Link) as a part of general dabbling in foreign policy agenda setting (Link) and his reported attempts to press national broadcaster NHK into adopting a more pro-nuclear editorial line (Link) would think twice about laughing anything involving JR Central plans. There is one determined hombre behind the company advertising that nutty price. The potential for constitutional chaos is not insignificant. If the court declares the election unconstitutional and invalid, the existing Diet is illegitimate. However, since the Constitution stipulates that only the Diet has authority over the drawing of electoral district boundaries, the country would be bereft of a legal body empowered to pull everyone from out of an electoral black hole. No, the concept "unconstitutional but valid" does not make any sense to me either. The fillip in the cases currently before the court is that in '72 and '83, the Supreme Court was ruling on election districts found unconstitutionally unbalanced after the fact. In the current cases, the Supreme Court told the Diet three years ago that the electoral map was "in a state of unconstitutionality" and warned legislators to fix it before the next House of Representatives election. The Diet failed to do so. Given the Supreme Court's advance warning, narrow indeed is intellectual window open for the Court to issue a pass on the validity of the election that brought Abe Shinzo and his allies to power. [See updated information here] In terms of personal stories, there the one involving the Court's most junior member, Justice Yamamoto Tsuneyuki. Yamamoto did not keep his peace when Prime Minister Abe Shinzo earlier this year kicked him upstairs from his post as Cabinet Legislative Bureau chief in favor of Komatsu Ichiro, a diplomat seen as a pushover on the changing the CLB's position on the constitutionality of collective security (Link). That Yamamoto will be caucusing his fellow justices and ruling on the constitutionality of the election that brought his nemeses Abe and Chief Cabinet Secretary Suga Yoshihide to power is the most delicious irony. Suga does not make many mistakes. Counterattacking against Yamamoto, however, might turn out to have been a big one. Tanaka's contract expires this year, meaning an astronomical figure Major League Baseball contract awaits. What does it take for a guy to get a little notice? M: "New Media, Old Media. Abe listens to both of us." W: "Abe listens to you. But he respects me." M: "He flatters you. Only you think that means he respects you." W: "Come back and lecture me about influencing politics after you threaten the prime minister in public a second time and get away with it." 1) The prime minister's speech was general, simple and covered relatively few points. 2) Foreign policy was a small heap of generalities -- then again so was everything else, including the treatment of the the closely watched so-called third arrow growth reforms. 3) At 24 minutes, the speech was six minutes longer than his January speech. Somehow, it seemed shorter. No mentions of contentious issues like the decision to go forward with the 3% rise in the consumption tax or the Official Secrets bill. 4) Few applause lines or stirring expressions. 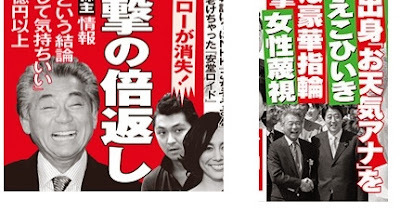 5) Torimodosu ("taking the country back"), the verb on the Liberal Democratic Party's main campaign posters in the last two national election -- got two mentions. For the most part the speech was buzzword free. More thoughts after the Kantei provides the official text, as necessary. Later - The prime minister's overseas speeches so florid, embarrassingly so, and yet his Diet policy addresses so spare. 2:27 And the weirdness begins: Endo Toshiaki comes out for a presentation on resolution regarding the 2020 Olympics. 2:23 Crowd shot of the New Komeito's upper deck of seat holders. Party policy research chief secretary-general Inoue Yoshihisa seems to be asleep. 2:21 Second maudlin anecdote: what Paralympic athlete Sato Mami told him, about not counting what one has lost but what one has gained. 2:21 PM has fought for the natinal interest in his many overseas official visits, and promoted Japan's charms. 2:19 Japan faces an increasingly severe security environment. PM promises to stregthen the security response apparatus in the Prime Minister's Residence. 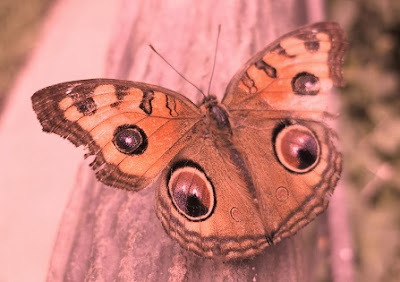 2:18 Here in the 21st century, Japan must abandon its reflexive passive and become an energetic participant in world peace and security actions. 2:17 Getting excited, strikes the rostrum. 2:16 Promises to reform the healthcare system but assures seniors that his goal is safety -- so I guess he is sorry now for the co-payment increases his cabinet approved in August. 2:14 Declares that this will be the parliamentary session of "taking on the question of realizing the economic growth strategy" -- a rather long-winded locution. 2:13 "In the TPP negotiations we will attack that which needs to be attacked, protect that which needs to protected." -- which means diddly, of course. 2: 11 First export story: the delicious food of Japan which I have been promoting as the country #1 salesman. However, PM notes, agriculture been unable to lower costs and become more productive. Pledge to double agriculture incomes in 10 years, nevertheless. 2:10 Notes the reality that prosperity will come when women and the young receive opportunitis for greater remuneration. 2:08 Claims his economic growth strategy will bring back Japan's economic vitality, only better than in the past, because women will be participating in it. 2:07 First maudlin anecdote: reads letter to him purportedly by a young married woman forced to leave her home in Fukushima. 2:05 Notes that recovery and reconstruction from the triple disaster of 3/11 is behind schedule or halted. Promises action as the earliest. Pledges total effort to decomission Fukushima #1 and control the radiation linkage. 2:03 Starts out by quoting national economic growth statistics at length, and selectively so as to tell the happiest tale. Former Prime Minister Noda Yoshihiko, who inexplicably called an election last December which led to his party's extirpation, is now doing P.R. for himself under the Bold, Mature and Sober labels. Former Prime Minister Yoshihiko Noda said in a recent interview that he placed more importance on raising the consumption tax rate than remaining prime minister when he decided last August to approve the increase. As head of the then ruling party, Noda agreed with the then two opposition parties on comprehensive social security and tax system reforms, including the consumption tax hike. Noda said he had intended to resign from his Diet seat if he could not pave the way for raising the consumption tax. 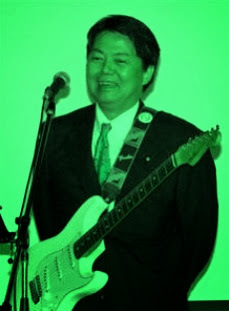 "At the time I thought I might have to choose between the consumption tax hike or my post as prime minister," Noda said. "After also considering that I would have to choose between the tax increase and my own party [many members of which opposed the increase], I said I was willing to bet my political life. I meant that I intended to resign as a Diet member." During the meeting of the leaders of the three parties last August, Noda was urged by then LDP President Sadakazu Tanigaki to specify when he, as the prime minister, would dissolve the lower house. At the time, the LDP wanted the lower house election to be held soon as it expected to score a major victory in the election, while the DPJ leadership wanted to delay the election as much as possible. Noda said he replied: "I'll use an abstract expression but in a way that is as clear as possible. Both 'in the near future' and 'sometime soon' are all right with me." After Tanigaki said, "I prefer 'sometime soon,'" Noda agreed to use that expression to describe when his administration would call an election, he said in the interview. About the meaning of "sometime soon," Noda revealed that he had been determined to dissolve the lower house by the year-end. “The only choice was [dissolution] by year-end. That was the bottom line. It was better for the nation considering the effects on preparing and implementing the budget," he said. That Abe Shinzo with his assault on the Bank of Japan and his profligate budgets would be reviving the animal spirits of the Japanese economy in 2013 was not something Noda could even vaguely foresee in mid-2012. Abe Shinzo was not the president of the LDP at the time. Noda was negotiating with Abe's hapless predecessor Tanigaki Sadakazu -- a mark demanding a double cross* if there ever was one -- whose economic policies were as no more expansionist than the DPJ's were. "LDP president Abe" to whom Noda would ultimately surrender, was still only a gleam in the eyes of revisionist and fantabulist members of the business establishment. As for the excuse Noda makes for a November dissolution followed by a mid-December election, it does not hold water. An orderly process of compiling a budget is important, yes. However, is a sideshow if the DPJ has, as it did, a majority in the House of Representatives. The Constitution makes it clear that whatever the hell else happens, Japan's budget cannot be held hostage to a minority (the relevant passages are in Article 60, in case you are wondering). What Noda did achieve, through his sobriety and iron-willed determination, was the electoral destruction of his party, the upending of a two-decade long process of building up a two-major-parties-alternating-as-the-party-of-government system and the short-circuiting the redrawing of the House of Representatives electoral map so as to reflect the Supreme Court's rulings on disproportionate representation -- all this, into the dumpster, in order to get the LDP to vote in favor of an LDP policy manifesto item. Furthermore, by calling the election in December, Noda made sure that the DPJ would suffer a huge cut in its 2013 government subsidy, making the financing of a return to power any time soon all the harder. Had Noda simply waited until January 2 for his announcement, his party, even if it lost a lot of seats in the subsequent elections, would still be on a decent financial footing. Noda did not twist the LDP's arm, they twisted his, and his mind too. Snapping the spine of the DPJ was their job and Noda did it for them. If, as Noda indicates in this interview, it was either win the LDP's and the New Komeito's support for raising the consumption tax or resign from the Diet, I can think of hundreds if not millions of persons ready to cry, "Why the heck did you not resign from the Diet then?" Furthermore, the Democrats cannot rid themselves of their portly DINO. He won his district handily last December by a greater margin than in August 2009. 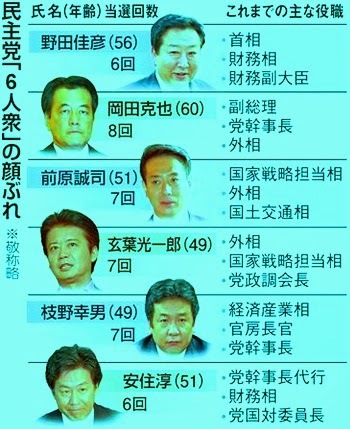 In addition, of all the members of the so-called "Gang of Six" of neither-entirely-cooperative-nor-entirely-helpful center-right leaders of the party (Noda, Edano Yukio, Azumi Jun, Okada Katsuya, Gemba Ko'ichiro and Maehara Seiji - Link - J), only Noda was able to bask in the glow of a DPJ candidate winning a seat in his home prefecture this past July. Since the Democrats (and the rest of us) are stuck with Noda, the least we can ask for is that news organizations assign reporters willing to corner him on his dunderheaded management of the DPJ. * How hapless was Tanigaki Sadakazu? He could be lulled into a debate over whether the House of Representatives should be dissolved "sometime soon" or "in the near future" and into choosing one of the two alternatives, allowing him to walk out of the building thinking he had extracted a concession from out of Noda. While disappointing in its demonstration of the U.S.A.'s continued inability to behave like a modern state, Obama's cancellation does provides an opening for Prime Minister Abe Shinzo, who is attending the summit (Link). Abe has managed to have big time bilateral meetings with just about everybody else in Asia (by the end of the month, for example, he will have visited all 10 ASEAN countries - Link). However, he has heretofore had no luck at all securing bilateral face time with Chinese President Xi Jinping and South Korean President Park Geun Hye. "Gee, President Xi and President Park, Barack's not attending. I will miss him too. Unless I am mistaken, this means you now have an open slot in your schedule. Can we meet? Unless, of course, you are looking forward to your chance at experiencing firsthand U.S. Secretary of State John Kerry's mesmerizing storytelling." If meetings do not occur, it will not be due to intransigence on the Japanese side. The Abe folks are all for meetings, without preconditions. If Abe and Xi do meet, however, a photo of the pair facing each other in chairs may be about all one can expect. While there are a myriad of ideas that Abe would love to bounce off of Xi, expecting a leader-to-leader talk without posturing and pretense may be too much. From the vantage point of a perch in Tokyo, with all the biases that that entails, the chances for a personal "OK, the television crews are gone now, we can cut the crap" interaction with the present generation of Chinese leaders seems remote. The nature of the game has changed. In the past, the official titles of the top leaders of China were adjuncts to who they were, after-the-fact official recognitions of real power, the locus of which was elsewhere -- but about which no one could plead ignorance. With Xi and his generation, however, the office is who they are. There is little leeway to get around "the official position" in private talks -- because the official position is that which the leaders must cling to in order to stay leaders. Indeed, who Xi is -- a princeling so in with the in crowd that he was able to marry one of China's superstar singers -- is precisely what Xi would probably want everyone to forget. So while it would be great for Abe to have a chance to sit down with Xi and Park sometime in the next few days (I have likened those excusing the dearth of high-level Sino-Japanese and South Korean-Japanese contacts since Abe became PM to a coroner telling a police officer, "Well, except for the bullet in the brain and other one in the heart, this guy's in great shape!") breakthroughs should probably not be on anyone's wish list. Murata Natsue's sacrifice, made in saving the life of an elderly stranger, has stunned the nation. Whatever one might want to say about this Abe Cabinet, one cannot say it is insensitive and slow to respond to the sacrifices made by ordinary citizens. The family of a most unlikely heroine did not have to wait for the nation's highest authorities to recognize and pay homage to her courage and selflessness. 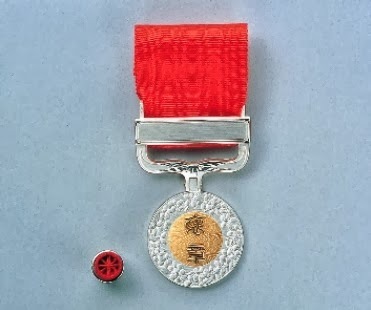 Many a Cabinet of the past, when faced with such an extraordinary occurence, would likely have shuffled papers, deciding only to "assiduously study" (shikkari to kento suru) the appropriateness of national honours. My first response to a cursory reading of Garrett's letter, which I only found out about because of a mention of it in Sentaku, was, "Amaterasu, have I ever met this person?" My second thought was, "I have to email X to ask him just how editorial at Japan Focus came to approve the publication of this lettter." My third was, "How did the U.S. government manage to hire someone as unclear about the nature of the business he has chosen? The record of Garrett's education and employment on LinkedIn indicates an individual of rather...unconventional makeup. I can sympathize with a desire to do good everyday in all things. And diplomats do a lot of good and decent things, overall. However, delivering incredibly bad, stupid, short-sighted and insulting messages to friends and enemies alike, as well as ferreting out intelligence from persons who are naive enough to open up to you, was Mr. Garrett's job -- a job that hundreds of diplomats from all parts of the globe do in Tokyo every day. Speaking only in generalities until everything is declassified was another part of Mr. Garrett's job -- which the thousands of diplomats passing through in Tokyo manage to do in deference to the needs and interests of their employers. Keeping one's peace does not mean keeping quiet, either. Former U.S. Foreign Service officers like Rodney Armstrong and Stephen Harner manage to engage in ferocious criticism of the Japan-U.S. relationship while keeping the details of their own service under wraps. Mr. Garrett seems to have been an idealist mistakenly in service to an imperial power -- a well-intentioned, pro-democracy, inadvertent (to borrow Robert Dujarric's adjective) imperial power, but an imperial power nevertheless. Walking out on that empire turns one's employer into a laughingstock -- but not for the unfortunate policies and presumptuous attitude revealed. No, for having handed to an amateur a job reserved for professionals. 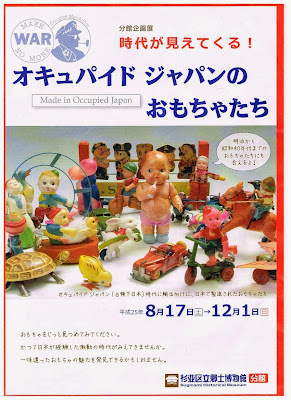 If you find yourself in the vicinity of Ogikubo Station on the Chuo Line and have a few minutes to spare, you might want to walk up to the Suginami Historical Museum's Amanuma Branch Museum (Suginami kuritsu kyodo hakubutsukan bunkan) for a tiny exhibit of mass-produced toys and toy making in the period prior to, during and immediately after the Occupation. The impact of the march to war upon the toys children play with is not something that often comes to mind when one considers the social history of the Meiji, Taisho and early Showa periods. Big changes came not just the permissible and suggested themes of play but in the materials as well, with metal disappearing from toy making very early during Japan's adventure on the continent, the tin and iron sucked up into industrial production for the war. By the very end, toy makers were reduced to making toys out of celluloid and thin strips of bamboo. Particularly fascinating are the pair of Occupation era propaganda films on the postwar birth of a workshop toy making industry. Waste (empty tin cans) from the U.S. military's canteens and clubs became the raw material for an almost entirely hand-powered process producing toy cars for export. A whole world of asides ("And into tin toys beat our trash/nations shall learn war no more"; "Japanese were exporting cars only a few years after the surrender, only these were made of tin"; "Yeah, and that must have been the last time an American bigshot could be smiling at a display of Japanese cars ready for export"...) come to mind as one watches the films, which are showing in a continuous loop on the video monitor next to the staircase. Lovers of historical irony will probably like the jellied alcohol-fueled model nuclear power station in the later postwar section of the exhibit, as well as toys of the 1930s proclaiming Japan's military might. The exhibit runs through December 1. There are special programs on the 20th of this month and on November 3. Information on the bunkan (Japanese only) can be found here.